Leotards are items of clothing that are worn by gymnasts and other performers. Leotards can be uncomfortable when worn alone. There are several options of clothing that can be worn underneath. 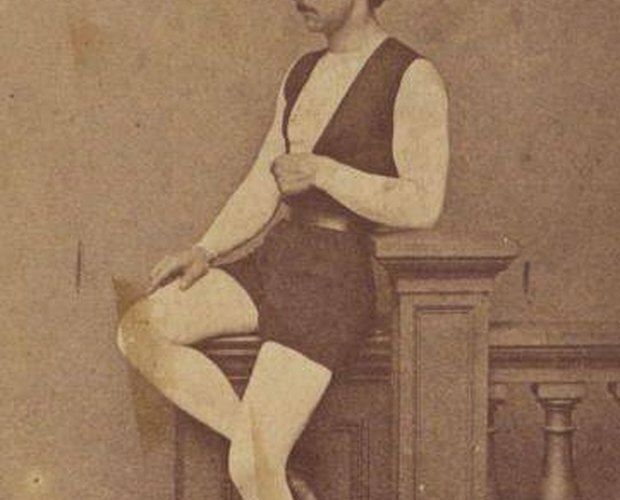 The leotard originated with Jules Leotard. He was a trapeze artist and his father was a gymnastics teacher. He wore an item of clothing that would later become known as the leotard. It served to provide him with ease of movement while showing off his muscular physique. A leotard is a simple, one-piece item that is similar to a one-piece bathing suit. The leotard is worn snugly on the body, which allows freedom for a dancer, gymnast or other performer. Most leotards are cut high enough on the leg to expose the underwear. Leotards can be sleeveless or with half-sleeves or long sleeves. They are made with fabrics that stretch and give such as spandex and Lycra. They also come in many designs and colors. Underwear is usually not worn when wearing a leotard. Many judges will count off points during a performance if the underwear is seen. A special type of underwear that is cut high can be worn if underwear is preferred. Some performers also report wearing a thong or g-string under the leotard. A seamless sports bra can also be worn if extra support is needed on top. Underwear can help prevent chafing and infection under the leotard but is usually not needed if the leotard is cleaned properly after each use.